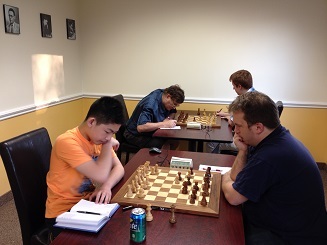 NM Ian Harris and FM Jason Shi were the top seeds in tonight’s tournament. Their final round showdown determined the winner of quad one and it once again it was Shi who triumphed in the end! 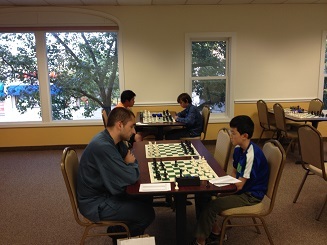 Meanwhile, Grant Wang was the heavy favorite in quad two and quickly won all three games.